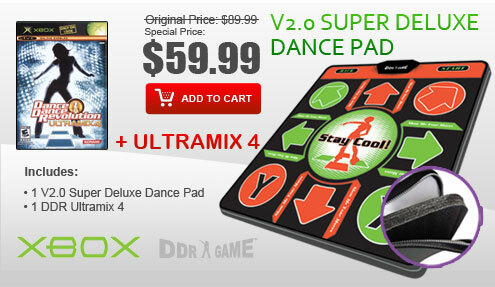 Let the rhythm of the music move you as you twist and shake in time with the beat. 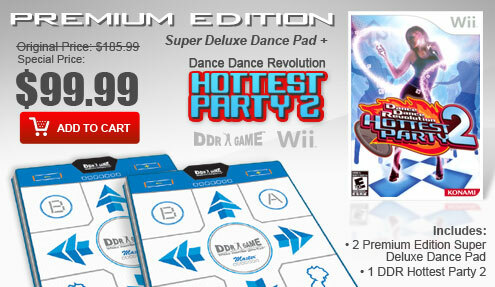 With Dance Dance Revolution Hottest Party 3, the addictive series returns with hot new music and fun new modes that help you get your body moving in new ways. 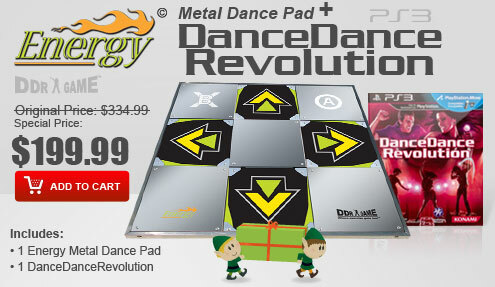 Move your feet according to the direction of the arrows, and let yourself get caught in the irresistible lure of dancing your cares away. 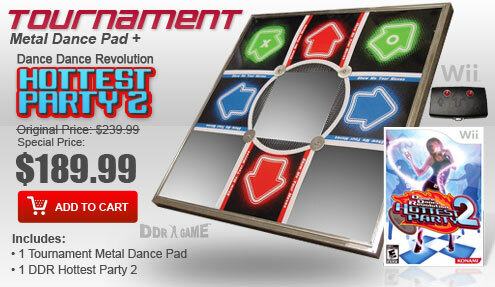 Dance Dance Revolution Hottest Party 3 livens up any gathering with its exciting multiplayer options that will get everyone shimmying to the beat. 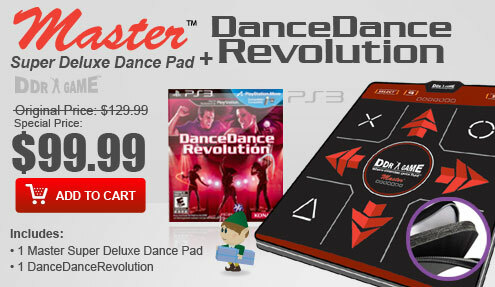 Move your body to the rhythm of 60 pulse-pounding tracks, including Rihanna's Disturbia, Ne-Yo's Closer, Pink's So What and Natasha Bedingfield's Pocketful of Sunshine. 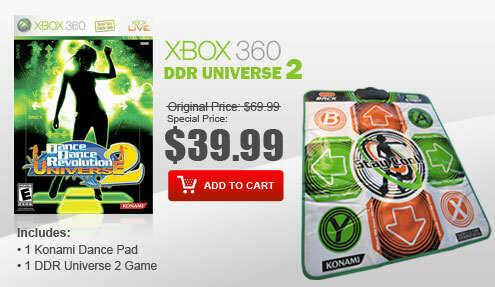 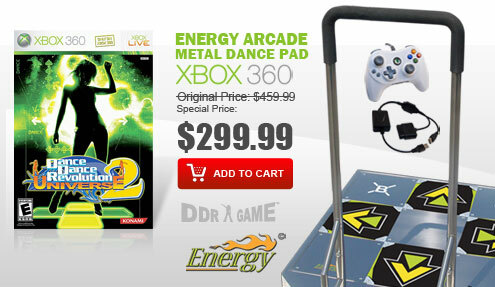 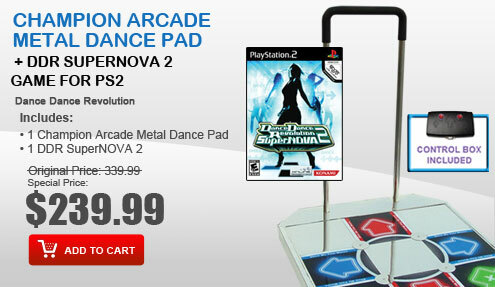 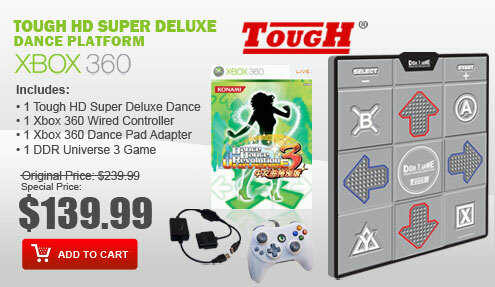 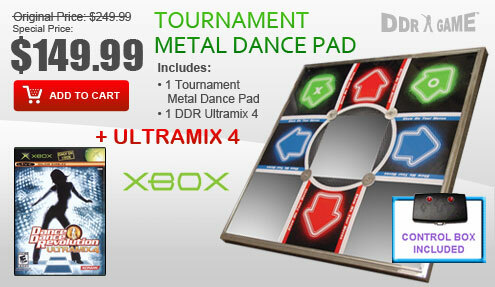 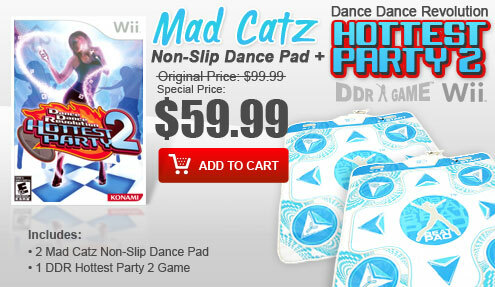 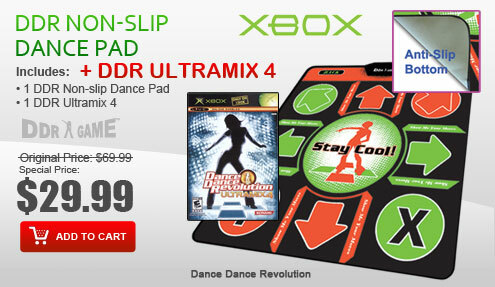 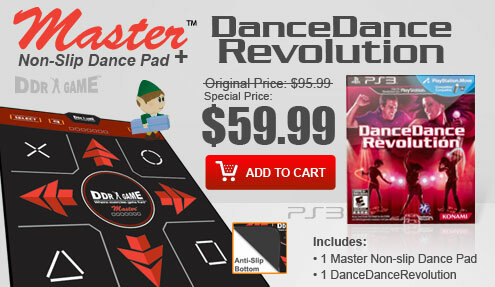 The included dance pad controller lets you move and twist according to the game's directions, and new Wii Balance Board compatibility lets you use the game as a workout tool as you move your hips and arms to the beat to get in shape. 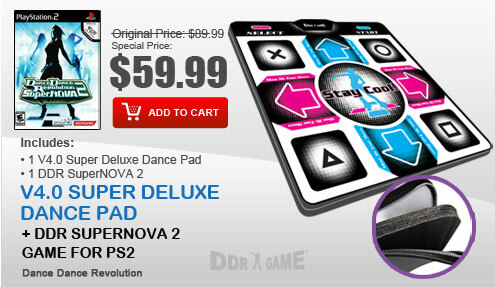 Fun new modes, including Story mode, Kids modes and the instructive Lesson mode, enhance the dancing excitement.